Kickbox Fitness was created by World Karate / Kickboxing Champion Joe Lewis; using heavy bags and weighted gloves to achieve all three components of the ‘fitness triad’ flexibility, cardio and muscular fitness. Crossfit was created by Greg Glassman. It incorporates elements from high-intensity interval training, Olympic weightlifting, Plyo metrics, Calisthenics and other exercises. It develops what is referred to in fitness circles as functional fitness. Primal Strength and Conditioning was created by Master trainer Charlie Lysak and MSG Michael Cutone. Primal Strengths’, The Crawl workout revolutionized the crossfit principles. 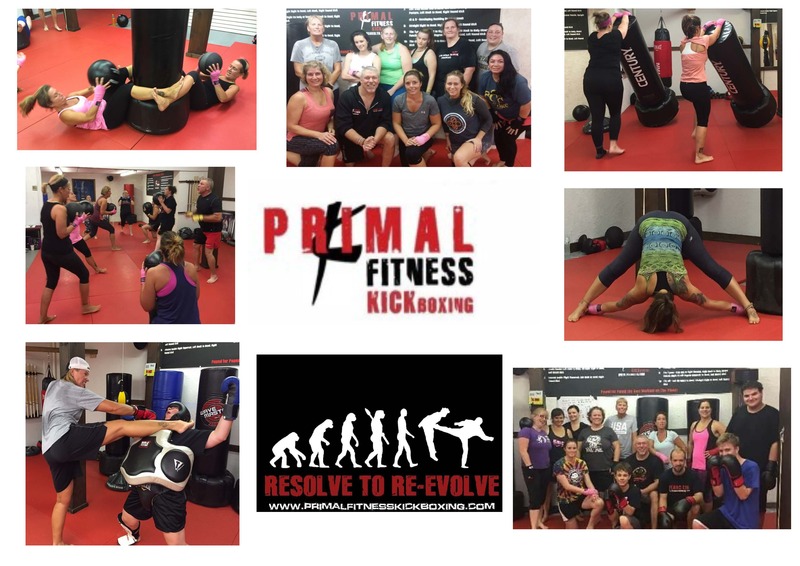 Primal Fitness Kickboxing was created by Robb Buckland and combines all three training methods, it consists of a 9 minute Animal Flow active stretch / warmup followed by 12/2 minute rounds of kickboxing, boxing and MMA techniques using heavy bags and focus mitts. Commingled with Kettlebell flows, Dumbbell complexes, Medicine Ball and Barbell lifts. Primal Flow Fitness will improve your mobility, strength, endurance and power. Wether you’re an extreme athlete or just want to get fit. Primal Flow Fitness will enhance your ability to climb, crawl, sprint, and jump. These are primal movements. Primal Flow Fitness combines quadrupedal and ground-based movement with elements from Yoga and Animal Flow . Kettlebells and body weight flows and complexes with Dumbbell, Barbell and Medicine Ball lifts for a fun challenging workout. Primal Flow Fitness enhances the use of core crushers, challenges stabilizer muscles, elevates strength and stability, increases range of controlled motion, multi-planar functional movement and pain free, injury resistant training. Primal Flow Fitness for Fighters is designed to help warrior athletes improve their athletic performance with techniques that will upgrade your practice of MMA, Boxing, B.J.J., Kickboxing, Karate and Jujitsu.